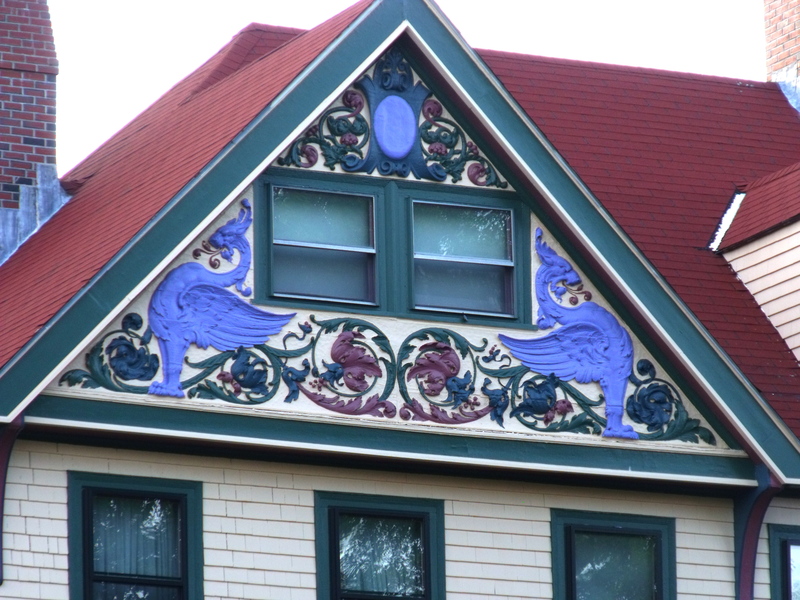 The painted pediment of a Pleasant Street House. May 29, 2011. See the pediment as it looked on January 9, 2010, before it was painted, by clicking here. 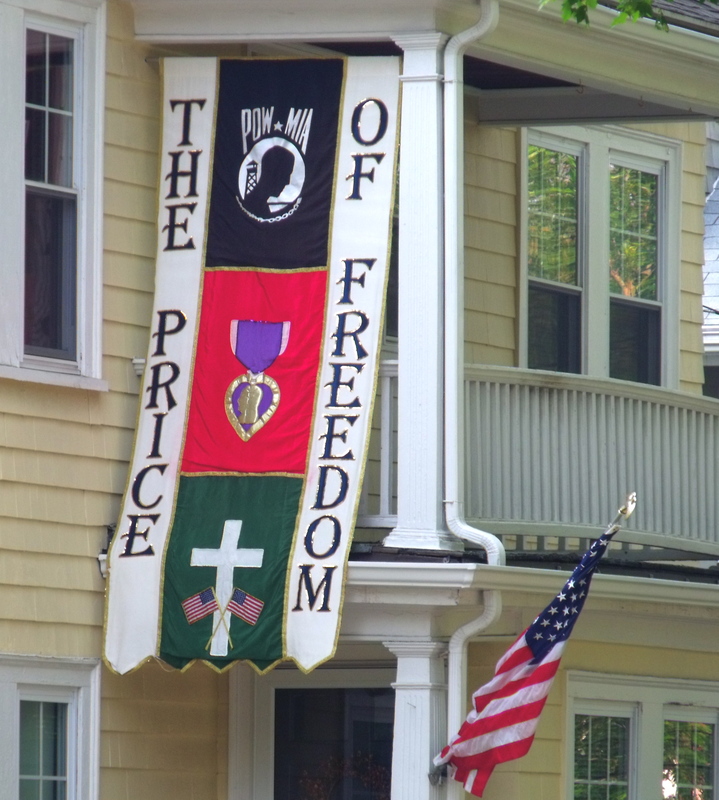 A house at Gray Street and HIghland Avenue decorated for Memorial Day. May 31, 2010. 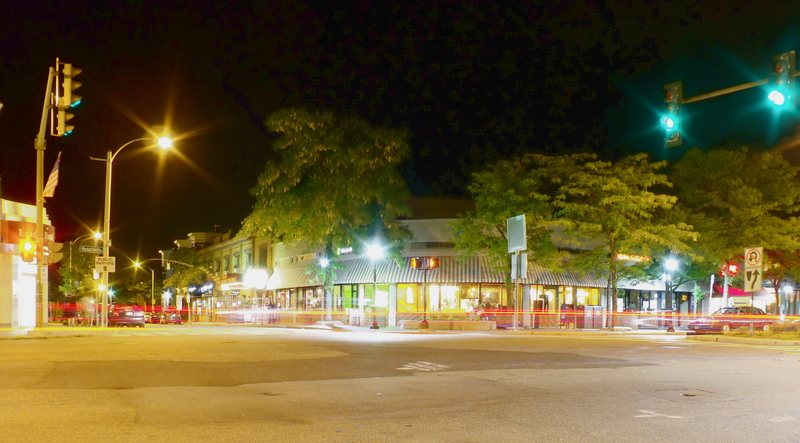 The corner of Massachusetts Avenue and Medford Street in Arlington center on the night of September 5, 2010. 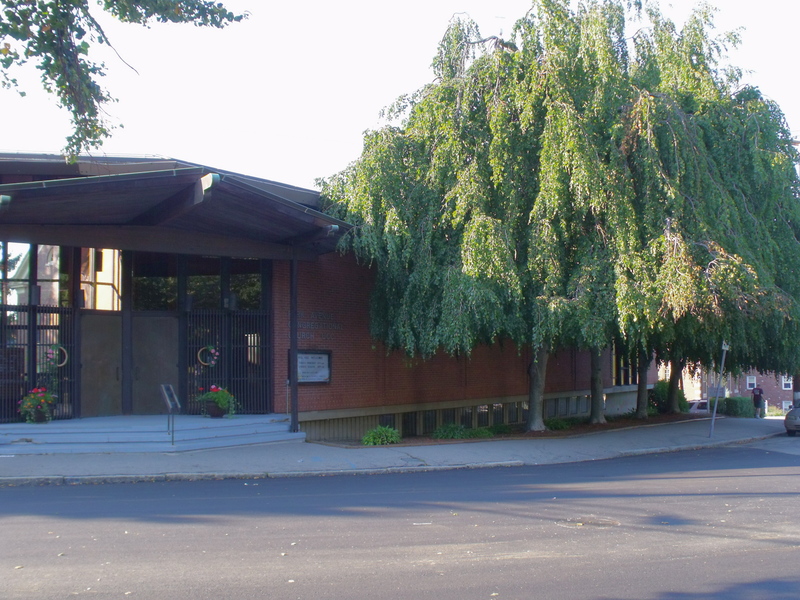 The entrance to the Park Avenue Congregational Church on August 31, 2010. 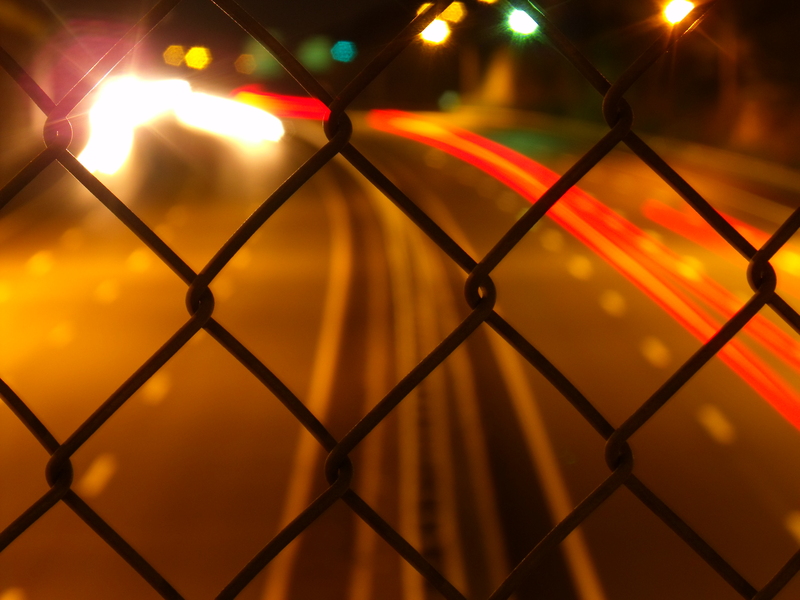 The Concord Turnpike, which borders Arlington to the south, on the night of June 27, 2010. 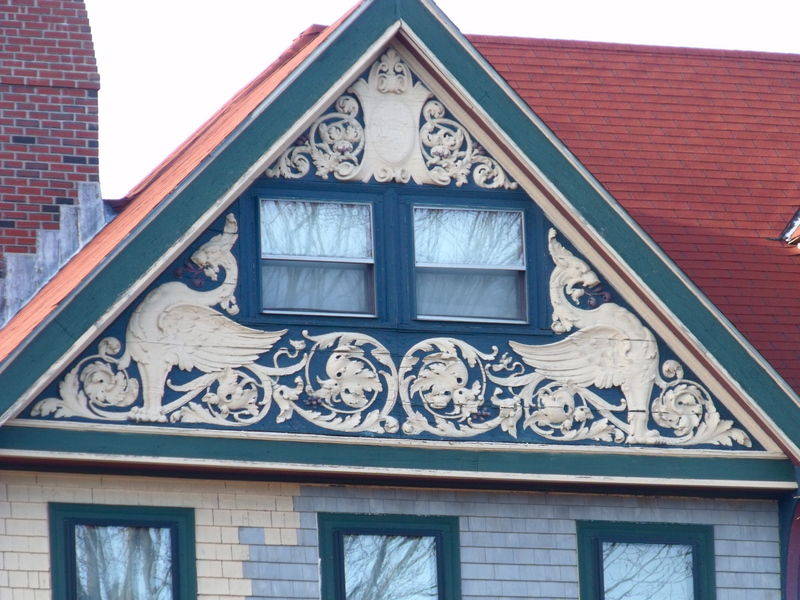 The decoratively carved pediment of a Pleasant Street home on January 9, 2010. It has since been repainted. 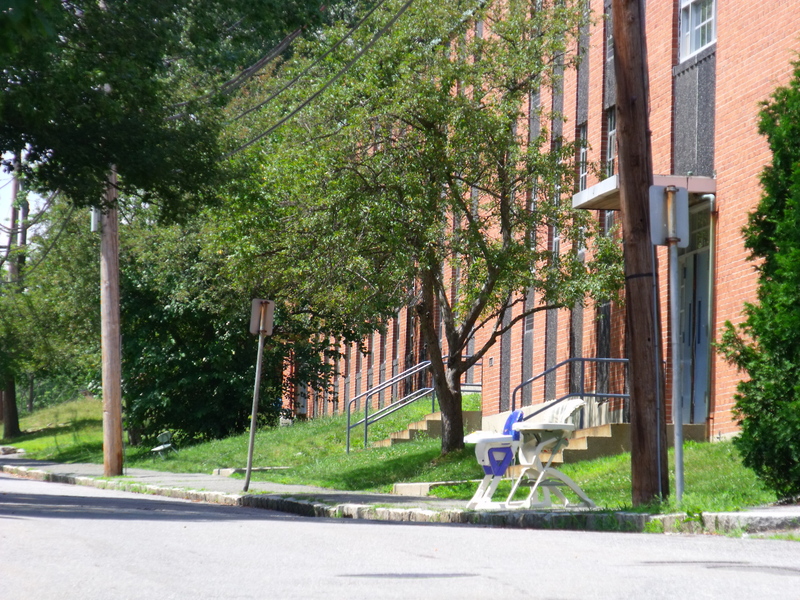 Two high chairs on the curb outside Stratton School on June 24, 2010.